Provide comfort for the family of Richard Henry Little with a meaningful gesture of sympathy. It’s with great sadness that Richard Henry Little known to friends and family as “Ricky” passed away on March 31, 2019, at the age of 59. A native born and raised in Milton, Florida. Ricky was preceded in death by his brothers, Bob and Tommy Little. Ricky will be lovingly remembered by his wife of 26 years, Bessie “Button” and his sons, Richard Engle, Nicholas “Nick” Tedder and James “Jimmy” Kowalski; Ricky will be fondly remembered by his 3 grandchildren, Jazmin, Daisy and Wyatt Kowalski and will be forever remembered by his nieces and nephews, extended family and dear friends. Trahan Family Funeral Home of Milton in charge of arrangements. 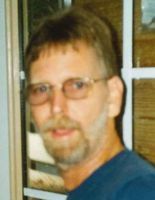 A viewing service will be held on Friday, April 5, 2019, at 2:00 p.m., at Trahan Family Funeral Home of Milton, 6539 Trammel Dr., Milton, Florida 32570, interment will follow in the family plot at Ard Field Cemetery, 682 Ard Field Rd., Jay, Florida 32565. Honorary Pallbearers are Johnny Daniel, Donnie Tedder, Mikey Tedder, Don Don Tedder, Raymond E. Tedder, Shawn Perkins and James Kowalski. To send flowers in memory of Richard Henry Little, please visit our Heartfelt Sympathies Store. We encourage you to share your most beloved memories of Richard Henry here, so that the family and other loved ones can always see it. You can upload cherished photographs, or share your favorite stories, and can even comment on those shared by others.